On July 13th, 2019 Lucas will be portraying the role of Samuel Gist. The July 13th performance will have a special bonus! Period Music by The Tidewater Players! July 13 – Concert at 10:00 a.m., "The Parsons' Cause" at 11:00 a.m. The "minds and hearts of the people" began to change in Hanover County Virginia on December 1, 1763. It was at the old Hanover County Courthouse when an obscure country lawyer named Patrick Henry challenged the authority of the Church of England, and the King of England. 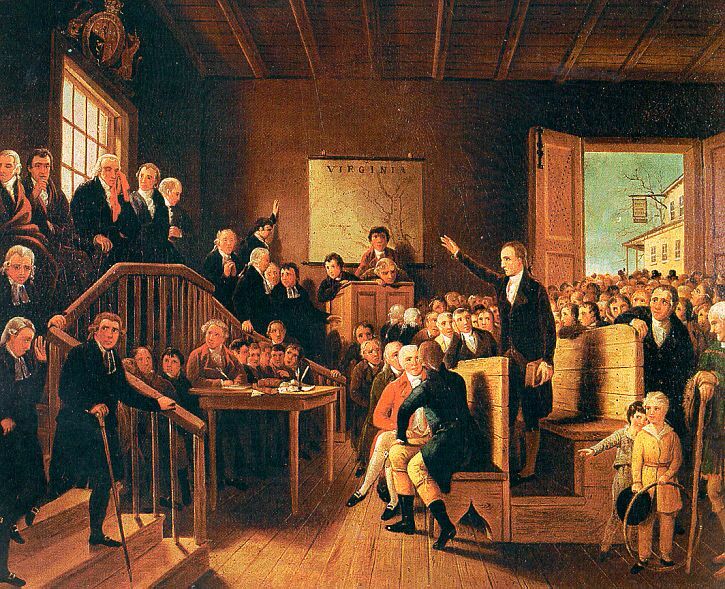 In the "Parsons' Cause" as Henry's case became known, Patrick Henry thundered against the King's disavowal of a law passed by the Virginia House of Burgesses. In addition to thrusting Patrick Henry into the forefront of the Colonial legal and political circles, the Parsons' Cause established part of the foundation of the coming American Revolution. The Parsons' Cause Foundation, Inc. is a non-profit corporation whose mission is to sponsor reenactments of, and promote the historical significance of the Parsons' Cause. The Foundation is pleased to present free public shows of the Parsons' Cause - Prelude to Revolution. The shows will be held at the same Hanover Courthouse where Patrick Henry tried the case in 1763. These shows last about 45 minutes, and participants are asked to serves as jurors, gentleman justices, or parties to the case. The summer season of public performances began during America's Bicentennial and continues today. These performances occur each Sunday in the summer beginning Memorial Day weekend and run through Labor Day weekend. The Anniversary Performance takes place on the Sunday closest to March 23rd, the anniversary of the day on which Henry delivered his speech. The Veterans Day Performance takes place each November on the Sunday before Veterans Day. There is also a public performance as part of Court End Christmas. Court End Christmas is an annual Richmond tradition when many sites located in and near downtown Richmond throw open their doors to celebrate the coming holiday. Lucas portrays the roles of Peyton Randolph, Thomas Nelson Jr., Richard Henry Lee, Robert Carter Nicholas or Benjamin Harrison. 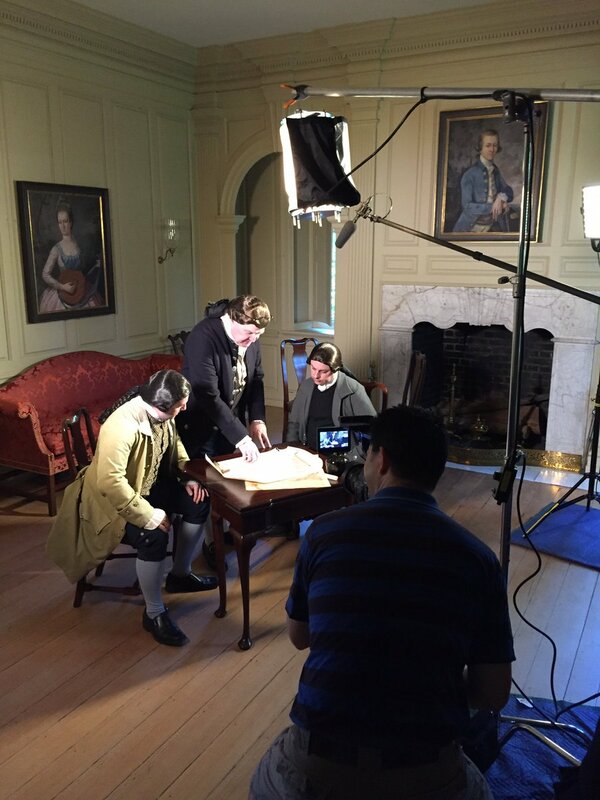 Richmond Family Magazine (July 2017 issue) interviewed members of the "Liberty or Death" cast in an article titled "Living History in Church Hill!" "St. John?s Church Foundation has been presenting historical reenactments of the Convention at its original location since 1976. Actors in period attire portray nine delegates, including Patrick Henry, Thomas Jefferson, and George Washington." 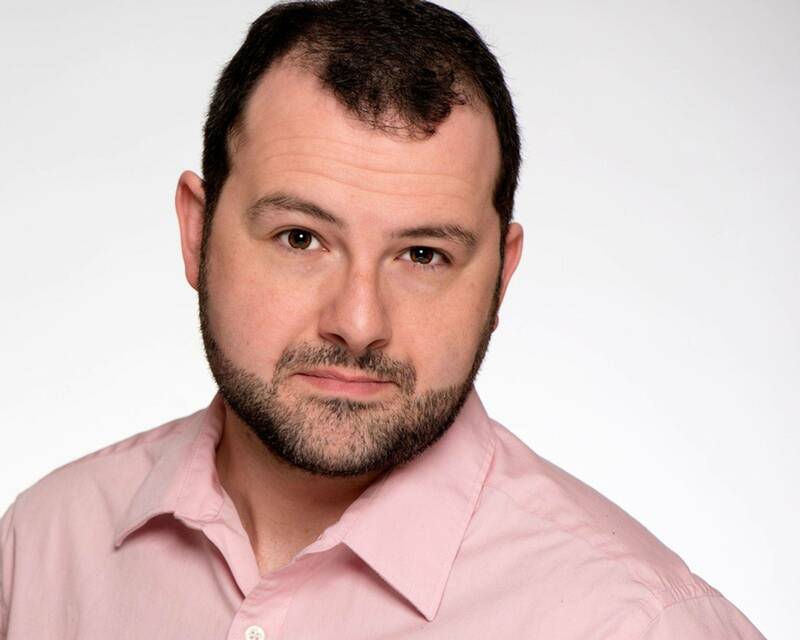 "Lucas Hall, who works for Virginia Repertory Theatre and also acts in theatre, film, and television, takes his various roles in the production to heart. ?I am a huge history buff and an actor, so this marries my two loves,? says Hall, who started with the reenactment in 2006 with the filming of Liberty or Death." Gerrymandering is the deliberate manipulation of legislative district boundaries for political gain. In Virginia, both Democrats and Republicans have engaged in this practice to distort the electoral process, promote the party in power, and turn competitive districts into non-competitive ones. The Washington Post has called ending gerrymandering ?the biggest ethics issue facing the state.? ?Gerrymandering is the enemy of representative government. It deliberately manipulates the system to take away from voters the very choice that should be a hallmark of our system,? says program producer William Oglesby. ?We hope with this documentary to help citizens understand that this isn't the way it has to be; that the voters have a right to choose their representatives rather than the representatives choose them.? In the fall of 2013, a diverse group of citizens came together to seek reform of the redistricting process in Virginia. From that meeting, a new coalition emerged to end gerrymandering. Now called OneVirginia2021: Virginians for Fair Redistricting, the organization brings together individuals from all over Virginia who believe that state and congressional districts belong to the citizens of this Commonwealth and not to any legislator, political party, or special interest. The coalition focuses on creating a fair process that includes an amendment to the Virginia Constitution establishing an impartial commission ? independent of the General Assembly ? to draw legislative district lines. The commission would use objective, nonpartisan criteria, invite public participation and be fully transparent. To get this real, lasting change, OneVirginia2021 urges all Virginians to become part of this important effort. to see upcoming GerryRIGGED special screenings follow OneVirginia2021 on Facebook! OneVirginia2021 is working on additional showings of GerryRIGGED and would love your help! If you?re interested in showing this and having a conversation about redistricting reform, please email them at [email protected]. You can now watch The Feeding on Netflix!